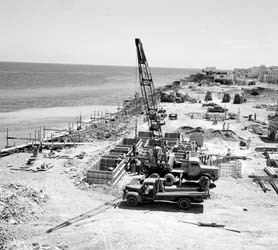 Posted in History of the Havana Malecon	| Tags American Havana Malecon Builders, Havana Malecon Construction, Old Photos Havana Malecon, Photo Construction Havana Malecon, Photo Havana Malecon 1900, When was Havana Malecon built?, Who built Havana Malecon? Often thought to start in Old Havana, the Havana Malecon experiences a little known name change straight after the turn towards Prado into the Avenida del Puerto. The continuation of the Malecon which borders the entrance to Havana bay until the cruise terminal and beyond to the Armadores Santander Hotel is technically not the Malecon but, who cares when it’s this picturesque and so close? The first sights of major interest along Avenida del Puerto are the Castillo de San Salvador de la Punta and the Castillo de los Tres Reyes del Morro, both of which were built during colonial times. The Spanish decided to fortify the shoreline to protect against invading pirates, hence these structures were erected. In Old Havana, you can stop at the Antonio Maceo park to see the statue that pays tribute to this interesting Lt. General of the Cuban Army of Independence. Though El Malecon is justifiably popular during the day, it is also at its best at night, when the sea breezes and overall atmosphere attract scores of folks looking to enjoy a social evening out. Parades, concerts, and even competitive car races are just some of the things that are known to take place on the Havana Malecon and Avenida del Puerto and, when nothing much seems to be going on here, visitors can always just watch the ships heading in and out of port. More recently cruise liners are moored at the cruise terminal which is right across from the Lonja de Comercio and Plaza de San Francisco de Asis. Taking a leisurely stroll is easily the best way to enjoy El Malecon de Cuba, however should you be tired after a full day sightseeing or if you are suffering from mobility issues, you can view Havana’s emblematic boulevard from a taxi, or better yet, a horse and buggy. As you can probably imagine, people-watching is a wonderful pastime along the El Malecon Havana, and you can habitually glimpse locals taking a cooling swim, or perhaps even fishing for tonight’s dinner. Such is the variety of people along the Malecon. Habaneros and Habaneras also are drawn magnetically to the Malecon and on occasions, the whole avenue can seem like a catwalk, displaying the latest fashion trends and Havana’s most beautiful residents. Depending on when you go, walking along El Malecon Havana can include evading the booming waves that sometimes wash over the seawall. Cuban youngsters love to play a game of cat and mouse with the crashing waves, which are at their strongest in the Cuban winter months. Should a wave hit you, it could take you to the ground, which depending on your mood and overall temperament, could almost be fun. Among the top festivals in Cuba, and any Latin American country for that matter, is Carnival. During Carnival in Havana, hordes of Cubans flock to El Malecon to enjoy the festivities. For the Havana Carnival, small kiosks are erected along each side of the road, stretching as far as the eye can see into the distance. From these visitors can get anything from a Cuba Libre to a Carnival hat. 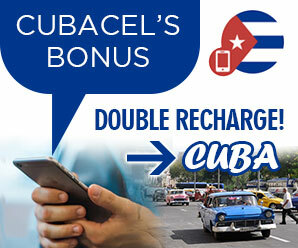 Of course, Cuban fast-food also prevails with Tamales and Pizzas on offer. People watching during the Havana Carnival can produce some eye-popping moments for the uninitiated. Scantily clad women and men wearing the “carnival minimum” are often seen dancing to hypnotic salsa tunes on carnival floats. Jaw dropping for some while entertaining to others, fun is had by all on Havana’s Malecon.